CIA Undergraduate Internship Program is for undergraduate college students looking for a career with the government. 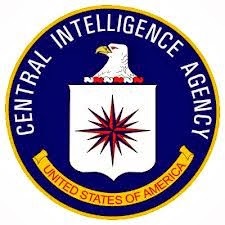 Internships are with the CIA Directorate of Intelligence. Applicants must have completed their first year of college and have a grade point average of 3.0 or above in order to apply. Students can be studying a variety of disciplines, including international affairs, area studies, economics, geography, physical sciences, or engineering. Interns work either two 90-day periods, or one semester and one summer. Interns will perform research, participate in meetings and projects, and write briefs on developments of interest to the government. Students applying must be prepared to undergo a medical and psychological examination, a polygraph interview, and an extensive background investigation. Drug testing and US citizenship is required. An internship with the U.S. government's Central Intelligence Agency (CIA) can lead to a full-time career. Students interested in a career on the cutting edge of information and technology that is key to government security and policy decisions are encouraged to begin their career with an internship.